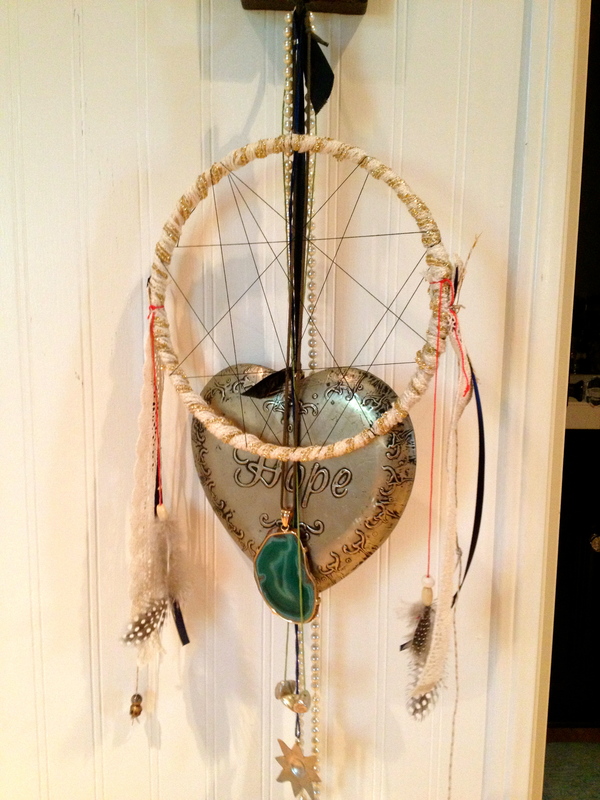 Lately my sister and I have been discussing our dreams and have been seeing dream catchers everywhere as bohemian decorations, therefore we took this as a sign to try our hand at the Native American craft: Homemade Dream Catchers. 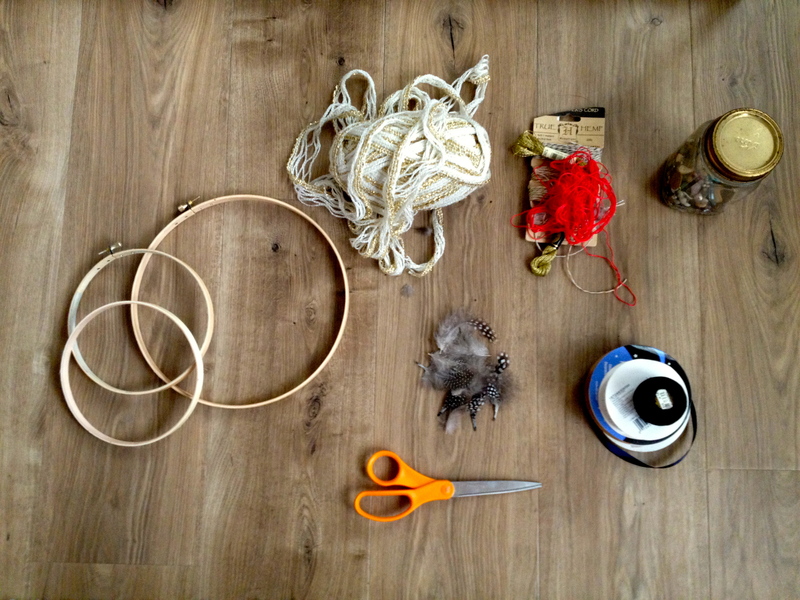 After looking at Pintrest and reading some tips on the best way to assemble a dream catcher, we decided not to take the directions to literal. We were adamant about making them to fit our personalities and wanted to experiment a little with our prototypes! 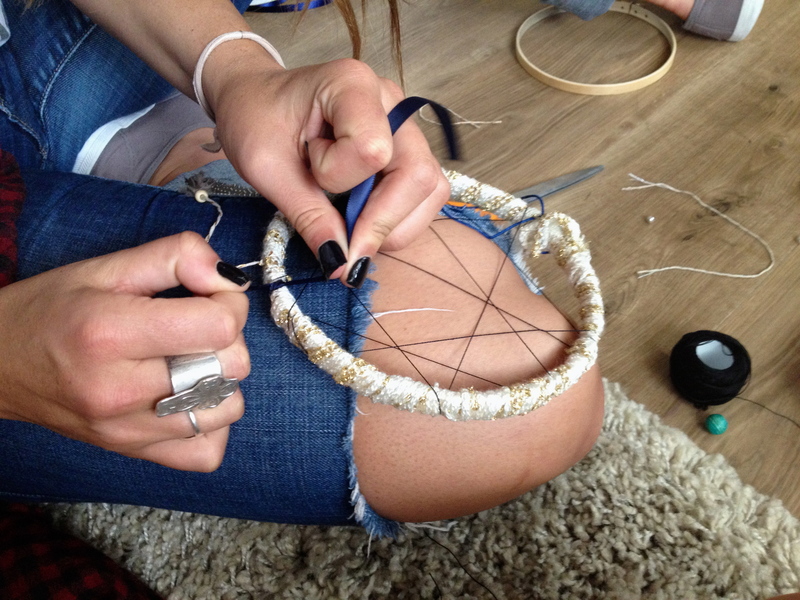 Dream catchers are made a variety of ways for a variety of reasons, we found that wrapping the circumference of the hoop with the thick knitting yarn gave it a fun texture and it also allowed the knitting thread to stay into place as we created webs around the hoop. To connect the yarn around the hoop we found that just making a small knot worked great, as well as with the webbed thread. Next, was time to decorate the outside with a variety of braided, colored yarn, ribbon and feathers to really give it that traditional feel. The different lengths and textures of the hanging material gives each dream catcher its own personality. With mine, I decided to just hang the varies material fro either side of the hoop. The best way to attach all the bigger fabric such as the ribbon and yarn is to layer them how you desire them to hang and just tie a small piece of thread around them and the hoop. Not a bad first try! I am determined to keep trying my hand at this beautiful craft! Have a great week zesters!